Captain America gears up in to defend justice with a patriotic suit and his signature shield! 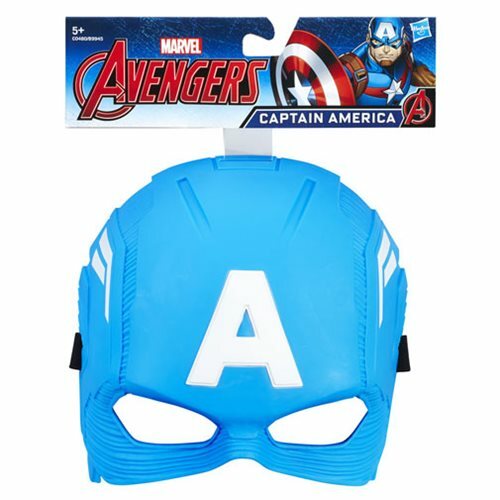 Kids can imagine suiting up like Captain America with this animation-inspired Captain America mask. Mask includes a flexible band to fit most ordinary mortals, so kids can pretend to be superhuman! Superpowers not included. Ages 5 and up.